The annual Lewis and Clark Festival is held each year in Gibson Park in downtown Great Falls. The Festival highlights the Lewis and Clark Expedition and their stay in the Central Montana area in 1805. 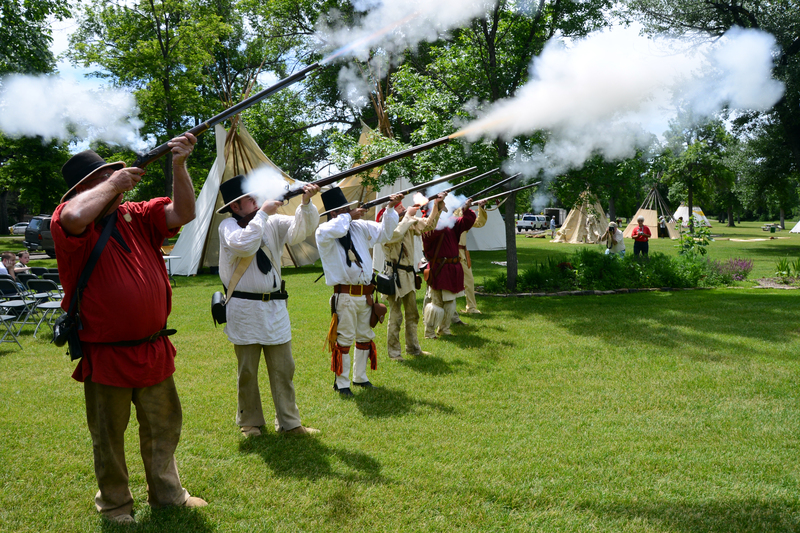 Observe reenactors in historic dress, as they re-create the adventures of the Corps of Discovery, and talk about their life along the Missouri. Learn how they worked and what they found. Included in the Festival are historical demonstrations, a Bluegrass concert, Native American dancers and drummers, children’s activities, and more! Past years have included float trips on the Missouri and a tour of the Gates of the Mountains. Fine arts and food vendors are on site as well, with handcrafted items and beautiful art for your perusal. If you’re a Lewis and Clark fan, a history buff, or you’re just looking for something fun to do, this is the place to be! The Lewis & Clark Foundation has complete information and you can contact them at 406-452-5661.